ENJOY LUXURY LIVING IN DESIRABLE PRINCETON WOODS // You won't find a more meticulously maintained town home anywhere! Stunning open-concept floor plan features bright kitchen with large island, upgraded SS appliances, gas range, + 42" cabinets. End unit offers ample natural light. Gorgeous wood flooring throughout main level. 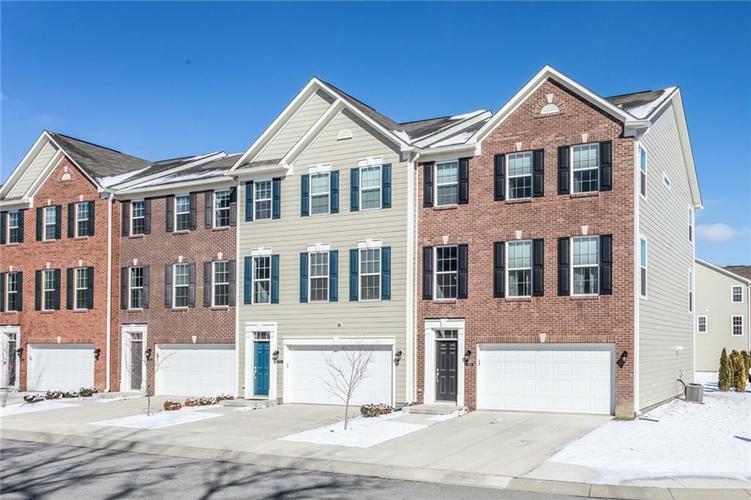 Located close to 37 and the heart of Fishers! Directions:From 131st Street and Lantern Road, Princeton Woods entrance head south. South on Mays Landing Drive. Property on the right. Listing provided courtesy of Karen Tanner Real Estate Group.